The trade rumors are already swirling around the Boston Red Sox as the American League East is clearly a two horse race between the Red Sox and the New York Yankees. It seems destined for another tight finish between the bitter rivals, and both front offices seem ready to throw the kitchen sink at other teams who will be sellers by the July. 31. trade deadline. One target for the Red Sox seems to be an old friend. Texas Rangers third baseman Adrian Beltre is rumored to be on the trade market, and the Red Sox and the Atlanta Braves are the rumored suitors. Beltre previously played for the Sox in 2010. The Red Sox have expressed the desire for the acquisition of both a right-handed bat, and a bullpen arm. 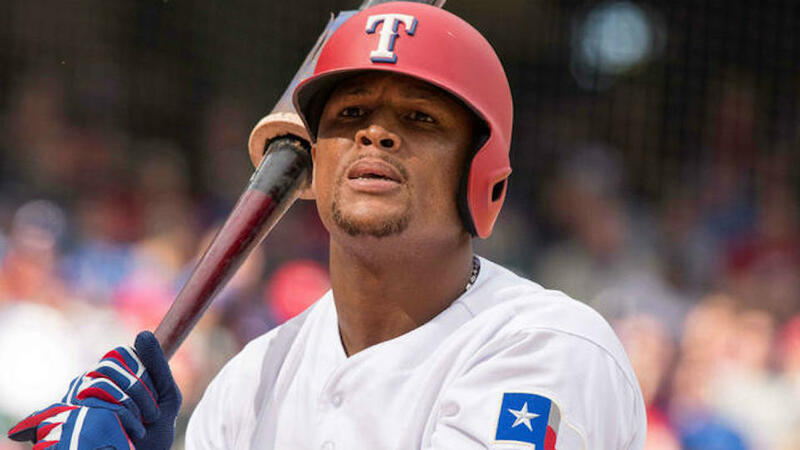 Beltre would solve the batting problem as his familiarity with Boston and all around clubhouse attitude could help the Red Sox youngsters down the stretch as well as help fill the void left by Hanley Ramirez. If the Red Sox were interested, one addition to the deal could be LHP Jake Diekman. Diekman has had a solid season thus far, even saving a couple games. The return in the deal would most likely not much as both players are on expiring contracts which together come to about $21 million. The Red Sox would probably just have to give up a salary match and a prospect which could possibly lead to getting rid of the disappointing Rusney Castillo as well as a lesser prospect. One comment on "Report: Red Sox Considering Reunion With Old Friend"
Loved Beltre when he played for us. Not sure how much he has left in the tank but maybe platooning/DH’ing to add pop from the right side would be worth it if the cost is relatively low..